Pilsner Urquell — Don Revy Philippines, Inc. 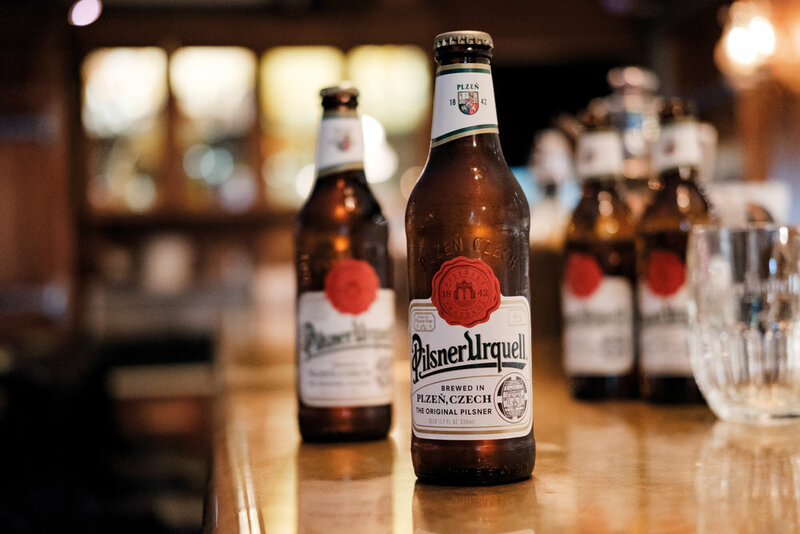 The original pilsner brewed the original way and perfectly poured so it’s fresh and full of flavor. The new brewery specialized in creating bottom-fermented beer which would eventually be known as the Burghers' (Citizens') Brewery. We equipped our brewery with on-site coopers who handmade wooden barrels to store our beer. We still have barrels in use to this day that are over 100 years old demonstrating the consistent expertise of our coopers. At the new brewery, Groll had the privilege to work with the finest local Czech ingredients: barley from Moravia, hops from Saaz, pure soft Plzen water, and H-strain yeast. And it was this history-defining combination of Czech ingredients, the birth of the Industrial Revolution, bottom-fermenting yeast, new kilning techniques and Bavarian brewing ingenuity that created the world’s first golden pilsner, arguably the most important event in beer history. To this day, we are committed to keep our craft and mastery alive - from our authentic ingredients to the way we brew and store our beer - so everyone can enjoy our beer the same way it has been made since 1842. 2289 Chino Roces Ave. Ext.